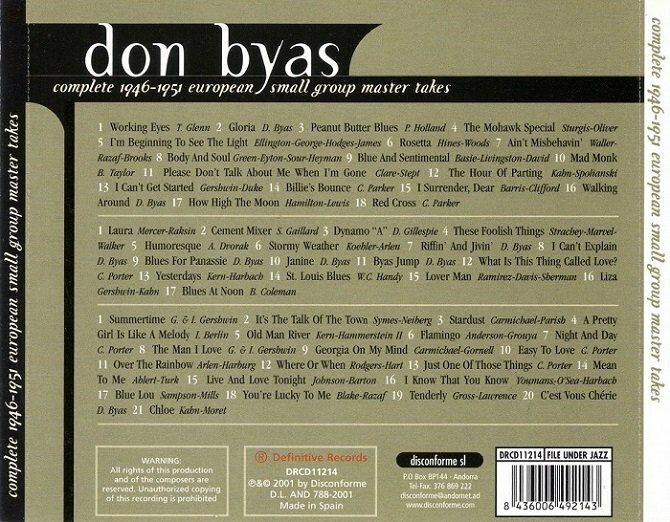 The European recordings by a jazzmen who played a crucial role in the transition from Swing to Bop. Only master takes. One of the greatest of all tenor players, Don Byas' decision to move permanently to Europe in 1946 resulted in him being vastly underrated in jazz history books. His knowledge of chords rivalled Coleman Hawkins, and, due to their similarity in tones, Byas can be considered an extension of the elder tenor. He played with many top swing bands, including those of Lionel Hampton (1935), Buck Clayton (1936), Don Redman, Lucky Millinder, Andy Kirk (1939-1940), and most importantly Count Basie (1941-1943). An advanced swing stylist, Byas' playing looked toward bop. He jammed at Minton's Playhouse in the early '40s, appeared on 52nd Street with Dizzy Gillespie, and performed a pair of stunning duets with bassist Slam Stewart at a 1944 Town Hall concert. 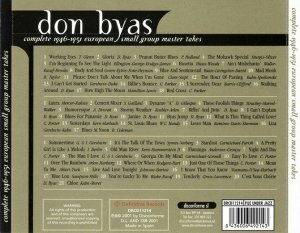 After recording extensively during 1945-1946 (often as a leader), Byas went to Europe with Don Redman's band, and (with the exception of a 1970 appearance at the Newport Jazz Festival) never came back to the U.S. He lived in France, the Netherlands, and Denmark; often appeared at festivals; and worked steadily. Whenever American players were touring, they would ask for Byas, who had opportunities to perform with Duke Ellington, Bud Powell, Kenny Clarke, Dizzy Gillespie, Jazz at the Philharmonic (including a recorded tenor battle with Hawkins and Stan Getz), Art Blakey, and (on a 1968 recording) Ben Webster. 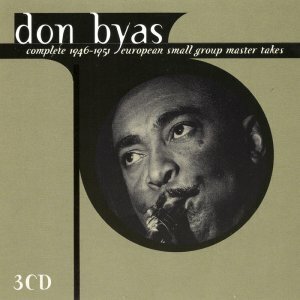 Byas also recorded often in the 1950s, but was largely forgotten in the U.S. by the time of his death.